Before she was the first lady of the United States, Laura Bush was a librarian, and in 1995 she founded the Texas Book Festival as a way of honoring Texas authors and promoting the joys of reading. 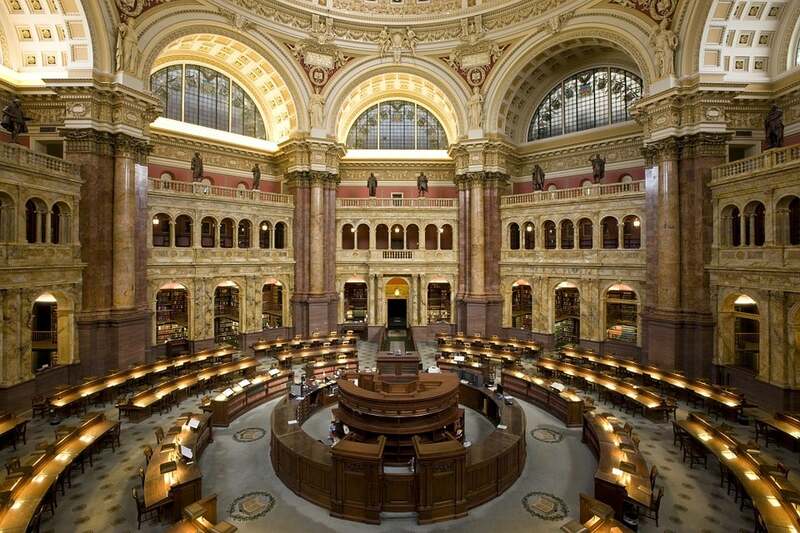 Today, the festival is a national event hosted by the Library of Congress in Washington, D.C.
Every year, roughly 100 best-selling authors, poets and illustrators and thousands of avid readers converge on the nation’s capital for readings, panel discussions and book signings. This year, three ASU professors — two from ASU’s College of Integrative Sciences and Arts — and an ASU alum will be among them. The strong presence of ASU, and the College of Integrative Sciences and Arts in particular, at the event reflects the relevance and importance of the work being done by those in the humanities, said Brooks Simpson, a Foundation Professor of history at the college and faculty head of interdisciplinary humanities and communication. Simpson is one of the ASU professors invited to attend this year and will be participating in a discussion about a book he recently edited for the Library of America, titled “Reconstruction: Voices from America's First Great Struggle for Racial Equality,” that presents firsthand writings from Americans of all walks of life — famous, unknown, black, white, Northerners, Southerners — detailing their experiences of the post-Civil War era. He believes those kind of works, which reveal our shared humanity, bind us together across time and space to help us better understand and navigate current issues and work to procure a better future. College of Integrative Sciences and Arts Professor Jewell Parker Rhodes will also be in attendance. “Because of its connection to the Library of Congress, the heart and soul of our nation’s capital, it makes me feel so honored and so humbled,” she said. “It’s like my country is saying, 'We see you, girl.'" Rhodes will be discussing her latest book, the New York Times best-selling “Ghost Boys,” a young adult novel that confronts the subject of racial bias head on. Raised by her grandmother, who only had a third-grade education, she knew she wanted to become an author when she first read African-American literature in college. In addition to racial bias, her books have tackled such tough subjects as Hurricane Katrina and 9/11. Rhodes founded the Virginia G. Piper Center for Creative Writing in 2003 and currently teaches courses in the new master’s degree program of narrative studies at the Polytechnic campus. She loves ASU for embracing diversity and committing to inclusion. “A typical snapshot of an ASU classroom is so rich with diverse, intelligent young people. I have been at other institutions where I didn’t see that. And I think comes from being in the Southwest but also the leadership of Michael Crow and the charter of access, excellence and impact,” she said. The third ASU professor in attendance will be associate professor of English Natalie Diaz, whose poetry collection “When My Brother Was an Aztec” was praised by The New York Times as a “beautiful book.” She’ll be participating in talks about poetry and prose. Last but not least, ASU alum Tayari Jones (who Rhodes convinced to come to Arizona from Georgia to attend ASU) will be on hand to sign copies of her latest novel, “An American Marriage,” recently named an Oprah’s Book Club pick, and to contribute to a discussion about the fiction genre. Rhodes is looking forward to reconnecting with Jones and celebrating the power of literature.